Last week, I shared a favorite local beauty brand with you all. 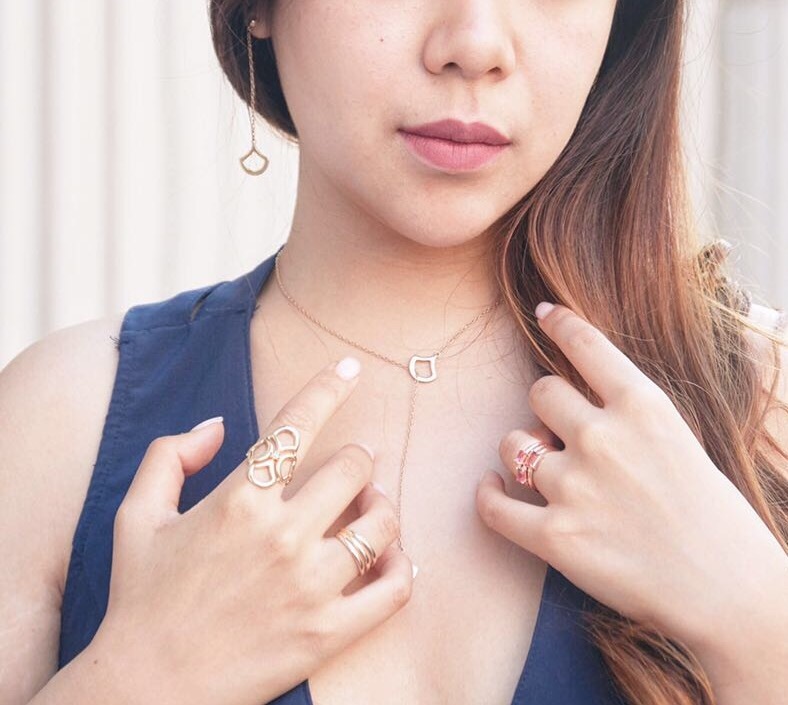 This week, I want to share with you a new jewelry brand that is also local to us New Yorkers! As I mentioned previously, as a native New Yorker, I love discovering and supporting local small businesses with good business practices. And in the case with jewelry, I’m always attracted by the story behind each designer and piece. Best of all, this brand is tailored for petite women – which is definitely a plus in my books! I’ve always struggled to find jewelry that fit me without having to be resized. KarenAsh designed by Ashlee Wainer definitely fits the bill! KarenAsh is a brand designed by Ashlee Wainer – a nurse, an artist, and a trendsetter. Her love for gems and handcrafted jewelry was inherited from her great grandfather, who was also a jewelry designer in the 1900s. All her jewelry designs are a reflection of her passions and what she learned in life from her loved ones and patients from the time she was a nurse. Through her pieces, she wants to convey that “true passion is born from experience, resilience, and broadening of horizons.” Each of her designs are sketched by hand, and most are wax carved and metalsmith by hand as well. 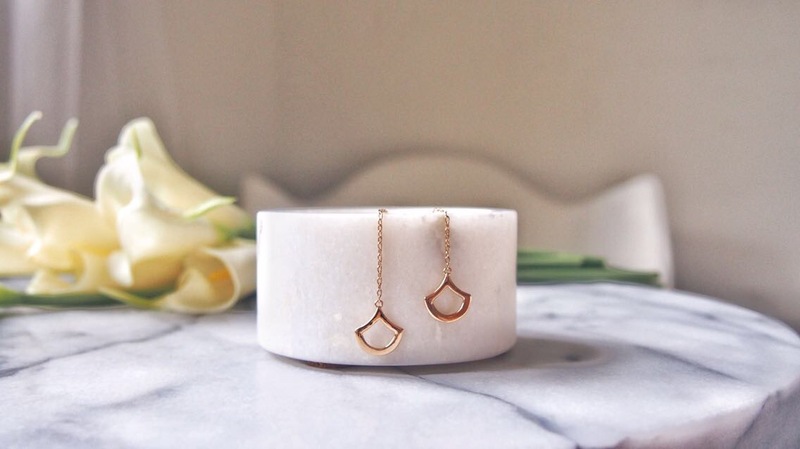 These are minimalistic and elegant – the sleek design is perfect for petites. They are beautiful and can be styled easily with any outfit. It can be worn as a pair or as a single. These come adorned with either a small gold sphere or a variety of gem stones on the stud piece. These are an assortment of beautiful pink tourmaline rings. Ashlee believes in nature’s beauty. Most will choose stones that are perfect, but not Ashlee. She sees beauty in gems that are flawed and she deems it as “perfectly flawed”. I was completely sold on the idea. The inclusions in the gems make for a one of a kind stone with different patterns on them. These rings are perfect for petites. I can’t stress how hard it is for me to find rings that fit me. On an average, most brands ranges from size 6 and up. Well for me, I am typically a size 3.75-4.25 depending on the brand. You can imagine what a stretch it is for me. 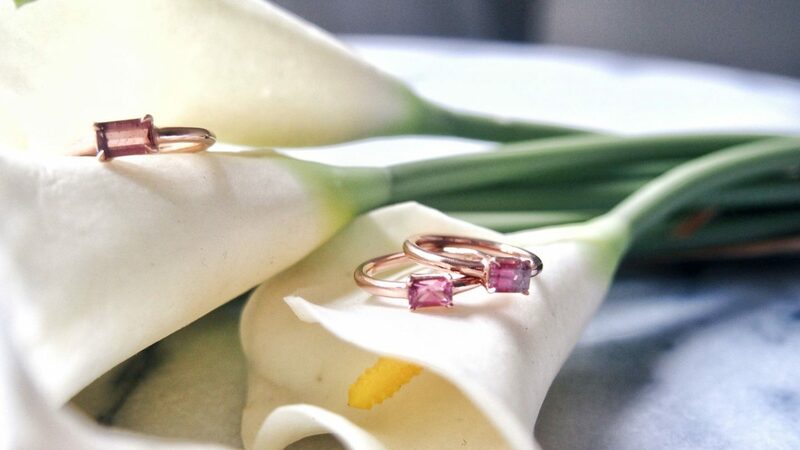 These rings are perfect as pinky rings, wearing alone, or for stacking. This has got to be one of my favorites. 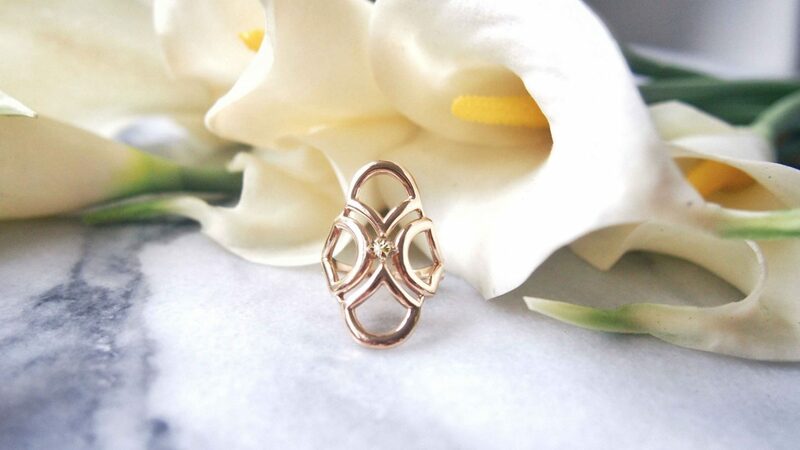 The deco ring is inspired by the 1920s motifs, which Ashlee adores. It is a ring with one design and an array of options. She designed it with her customers in mind – for them to be able to create a custom ring tailored to their style by choosing from a wide variety of stones. This is definitely a statement piece that is classic, timeless, and will draw attention. I wore this for a dinner event and got so many compliments for it! I also love that KarenAsh has great business practices in terms of social responsibility! All their diamonds are conflict-free, ethically sourced through their supplier who certifies compliance with the Kimberley Process. They are also mindful of their carbon footprint by using post-consumer recycled materials whenever possible. In addition, I love when I know something good comes from a purchase. For their brand, every purchase made returns 10% of the cost back to the community through direct donation to Suicide Prevention Crisis Centers nationwide. I think it’s a great cause to be supporting. I’ll be first to admit, most of my fine jewelry pieces are from designers such as Tiffanys, David Yurman, Tacori and the likes. I am experienced with shopping for fine jewelry, so I also have to admit, the price of KarenAsh pieces range quite similar to those designers. However, I find that supporting a local designer with the heart of doing what she loves outweighs the price. Each design and piece is handcrafted with love from the sketch design process to the final crafting. I can’t imagine anything more beautiful than that. I’m proud to be working with KarenAsh as their brand ambassador. I’m so excited with all the collaborations to come. This is a project that was discussed over a long span of time with various meetings, before we decided to work together. Getting to know Ashlee first hand, I can see that she is a talented jewelry designer – with abundant love for each of her designs. She also taught me how to handle fine jewelry and take care of it. I will conclude that, this post and review came genuinely from my admiration for Ashlee and her dedication to creating fine jewelry for petites. So rather than saying this is a “sponsored” post. I hope you all can read it as a token of appreciation for art and the designer. Also, I love giving shout outs to local small businesses and brands that I love. I hope to share more with you all in the future! Let me know what you think of the designs! Hope to hear from you all! PS: Here are some more of the variation of the designs, from her LOOK BOOK. So beautiful! I love the minimalistic design of these jewelries! Will definitely check them out! Wow, this jewelry is absolutely stunning!! Love the idea of having a collection for petites! It’s so hard shopping for things like rings and bangles sometimes because I’m so tiny! Yes I agree! I’ve always had that problem! Glad there’s a solution now! I’m in love with every single one of the pieces of jewelry! I love how they are minimilistic, but stylish. I also struggle with needed things to be resized so I’ll look into this company! Definitely agree! It’s a good choice for petites! This jewelry is really stunning! Love your romper! Gorgeous! I love the idea of jewelry for petites! My wrists are super tiny, and no bracelets ever fit me. I love these delicate designs. Yes! Delicate designs look the best on petites! This jewelry is super cute! I like that it can be used with a casual outfit and a fancier out! Cute romper too by the way! 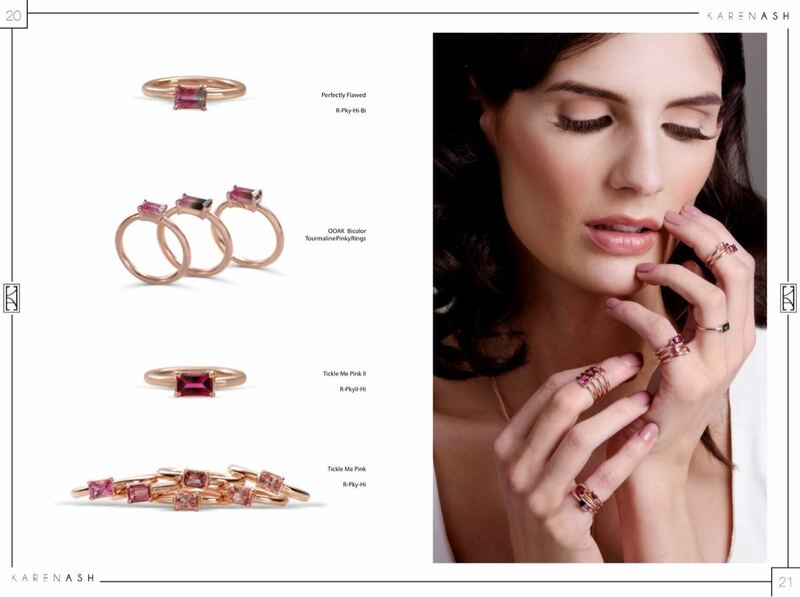 Those Pink Tourmaline Pink Rings are STUNNING! I would love to own one of those! Never heard of this brand, but will def be checking them out! Aren’t they? I love the pink tourmalines so much! Your necklace looks so beautiful! Love the design. It goes well the dress! Wow you have got a wonderful collection! Your necklace looks so beautiful! Love the design. It goes well the dress! These are lovely understated pieces. I like the drop earrings. So elegant. LOVE this! Finding a ring my size is next to impossible. I’m a 4 depending on the brand so I’ve always had to get it resized. Great to know that they have companies like this that design for us petites! Yes! I find myself fitting 3.25 in certain fingers. It certainly is difficult! I love it all! My favorites are the necklaces. So gorgeous. The rings are pretty too! They are indeed. I love the necklace as well! 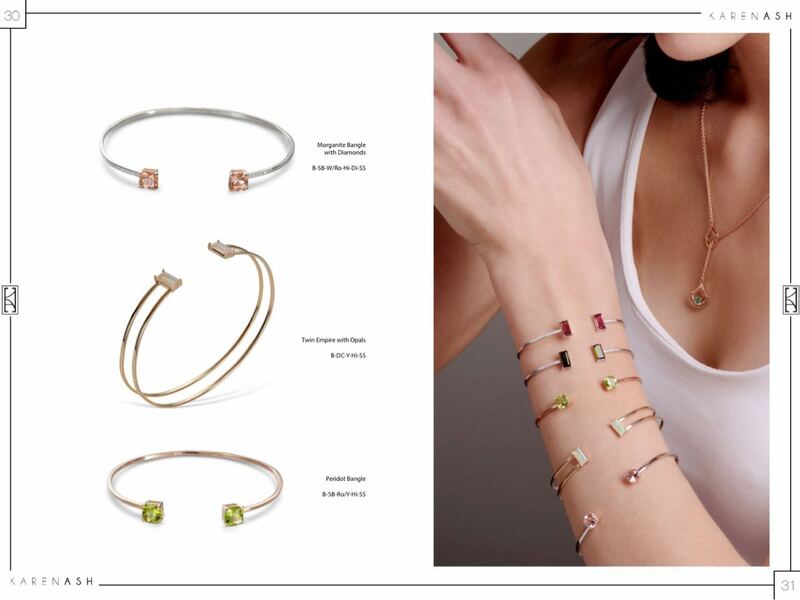 The pieces in KarenAsh designed by Ashlee Wainer are absolutely gorgeous! I love the simplicity of many of the designs. Yes simplicity really brings out an outfit! I love the necklace and bracelets they are too pretty. You could wear those pieces with anything. I love this jewelry. I am so not of a fan of those typical statement necklaces and prefer classic, clean lines and minimalist design. It’s timeless and shows style without being loud and being all up in your face. I love your posts, Ophelia! Thank you Gloria for all your support! & You said it sooo well! Agree with you 100%! Completely agree with the less is more statement! Such beautiful pieces! I had no idea they made jewelry specifically for petite women. Yes! 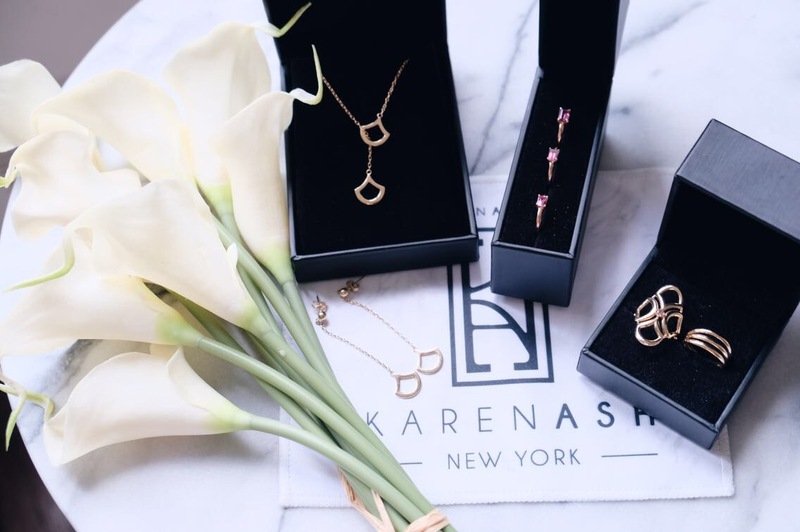 Not many brands do it, so KarenAsh is a good one if you’re petite and want jewelry that fit! I love to support smaller businesses too, especially when they have a conflict free, sustainable ethos as shown here. I love the earrings, it reminds me of the 90’s minimalism era, which in terms of jewellery is right up my street. I also like the cognac ring! Yes, the cognac deco ring is so gorg! Necklace def accentuates the neckline! 3 cheers! You said it! Love the beautiful design of this jewelry! Oh wow, I really like this jewelry line. It’s so delicate! All of these pieces are so stunning! I’m a big fan of delicate jewelry. These are beautiful jewelry.all the items are so nice on you.I really like the earnings set.That’s so beautiful! Yes, it’s so delicate and minimal! The jewellery is so elegant and delicate, and it is brilliant that someone has acknowledged that petite woman need smaller sized jewellery as well as clothing. KarenAsh brand I have not heard of but her jewelry designs are gorgeous. I love the drop earrings and the Cognac Diamond Deco Ring. These are just my style. Thanks for sharing these amazing pieces. Me too! So easy to match with everything! neat and adorable sets of jewelry here, i like the neck piece and its feel. so nice and i like the designs too. The pink tourmaline ring is so pretty. That’s one of my favorite colors in fashion this year. Yes! Always classic and beautiful pink! This jewelry is so beautiful! I have a hard time finding bracelets and rings that fit me, so I’m always stoked to learn of new brands that I know I can wear! Loving how unique and minimalist these pieces are! Oh my god, is this the end of our “my wrist in not big enough for a bracelet” struggles? Love this, will definitely check it out! I like the golden drop earrings! They’re super cute and I’ve always loved drop earrings. These pieces are so beautiful ❤️ Minimalist necklaces are my favorite ones! !